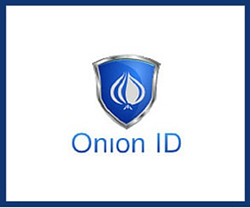 Onion ID delivers an end-to-end solution to privilege access management, which allows businesses to prevent insider threats and secure both their infrastructure and 3rd party apps. This year, Onion ID is represented at the RSA security conference in San Francisco by its founder and CEO, Dr. Anirban Banerjee. Any company that is interested in protecting the keys to the kingdom, the administrative accounts, needs to have a dynamic solution in place to help their security and IT teams. In the last ten years cloud service adoption has shot through the roof, with companies moving servers from on-premise installations to the cloud in droves. This is done for simplicity, scalability, ease of use, and less day-to-day management. A side effect of using cloud services is that employees are now using multiple applications from 3rd party service providers, which the company has little or no control over. Making sure that the right employee has access to the right level of privileges is a difficult task, even if a business has to deal with only in-house applications. Now, in the era of the cloud, businesses face an entire new set of challenges, which cannot be handled by traditional methods for IT security. Motivated by these challenges, Onion ID provides an end-to-end solution to Privilege Access Management (PAM), that allows businesses to easily control who accesses what and when, prevent insider threats, secure servers and 3rd party apps, and control their cloud spending via efficient monitoring and license management. Since raising a first round of funding from brand name silicon valley angel and institutional investors in mid 2015, Onion ID has helped enterprises reduce compliance violations by over 84%, reduce IT and DevOps effort by 2 hours/server or application per month, and cut an average of 15% of cloud SaaS-service licence costs in the first 30 days. The Onion ID team consists of individuals that are very passionate about security and are driven by the same goal: to make Privilege Access Management downright easy for both businesses and their employees. Interested parties are welcome to contact Dr. Banerjee and arrange a meeting during RSA.